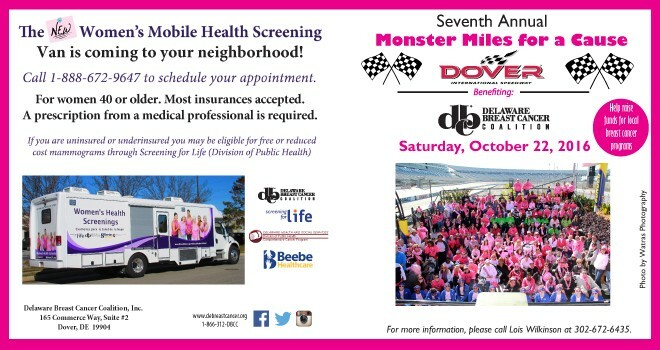 The NEW Women’s Mobile Health Screening Van is coming to your neighborhood! Call 1-888-672-9647 to schedule your appointment. For women 40 or older. Most insurances accepted. A prescription from a medical professional is required. 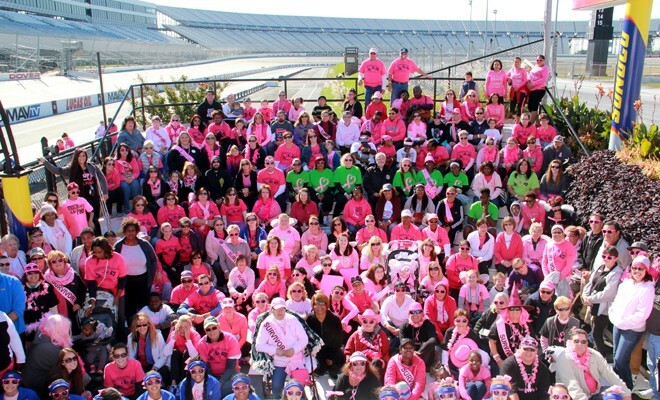 Seventh Annual Monster Miles for a Cause at Dover International Speedway to benefit the Delaware Breast Cancer Coalition. For more information, please call Lois Wilkinson at 302-672-6435.